Buying blind – HubNut – celebrating the average! The rise of a certain internet auction site has led to an entirely new way of buying cars. Buying blind. This means buying a car you haven’t actually seen in the metal. Previously, this was really not considered the best way of doing things. It isn’t just on Ebay that things have changed though – car dealers have told me that they now sell a lot more cars ‘blind’ than they ever did before. It requires a huge amount of trust and a certain amount of daftness, but I do it all the time. I have no problem with it, as I rarely spend very much buying a car. Take the Discovery as an example. I found it hidden in the parts section of Ebay with very little description and one poor photo, which utterly failed to capture the described accident damage. Incredibly, I let it go with £500 and no bids. That required impressive levels of self-control. I then contacted the seller and found out a bit more about it. It’s important to do this bit in writing – ie email – because I now had a good description of the vehicle and some more photos. We haggled a bit and I agreed to pay £450 for it. I think I used PayPal to secure it with a deposit, then used various methods to get to Northamptonshire. The way I saw it, a £450 Discovery just couldn’t lose me money. If it broke down on the way home, I could get recovered home and then break it for parts to get my money back – or even sell it as a going concern. As it happens, it was really a fair bit better than it had any right to be, though it has obviously needed work since. You expect that with any sub-£500 car. It’s all about asking the right questions and deciding whether you trust the seller. Establish a relationship and judge for yourself. The seller needs assessing just as much as the car itself. Do your research and find out key problem areas for the car you’re looking at and ask what these bits are like. Be suspicious if the car is described as perfect, as it almost certainly won’t be! I don’t always get it right. The Sirion is a great little car, but is more rotten than I’d hoped. I’m not really complaining at £370 though, and I’ve not had to spend much on it since buying it. Indeed, expenditure is very low for the 3000 miles it has now covered. I bought it because it sounded good mechanically, with a service history including important things like a timing belt change. 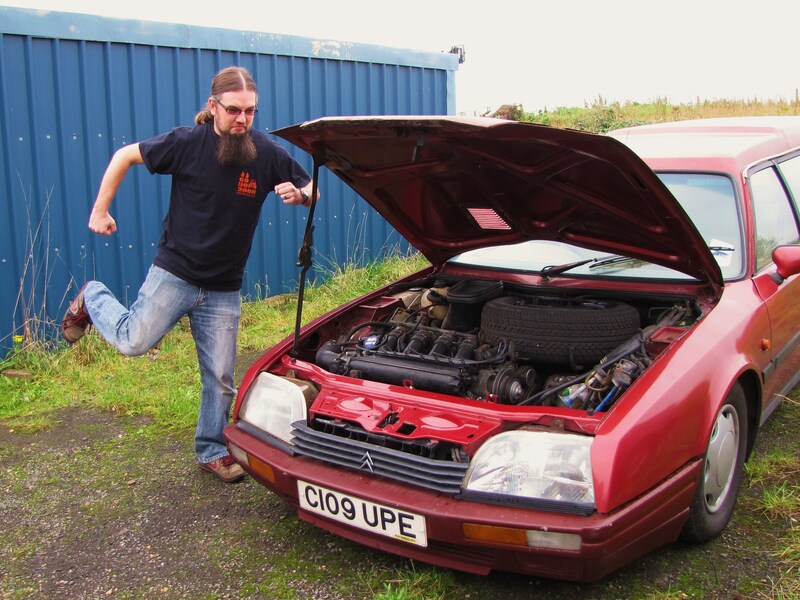 My nearest disaster was a Citroen CX Safari. I foolishly agreed to swap the CX for my Renault 21 Monaco and a bundle of cash. This was silly on many counts. The really tidy Renault was soon a rather sheddy Citroen. I filled it up as it was running on fumes and it started leaking petrol all over the place. Then, on the M6 in a traffic jam, I discovered that the cooling fan didn’t work at all, and the heater fan was hopeless. It hit 109 degrees Celsius at one stage. It also misfired a fair bit. I did avoid complete disaster with that car though. A new air intake hose cured the misfire and it went on to perform very well bar the odd complete refusal to start. I used it to help a friend move house, and loaded it up for our own house move in 2010. That huge load area was a massive boon. Once in Wales, it proved incredibly good in snow and survived its coolant freezing in -15 degree weather. I sold it for £565 to someone who bought it blind. 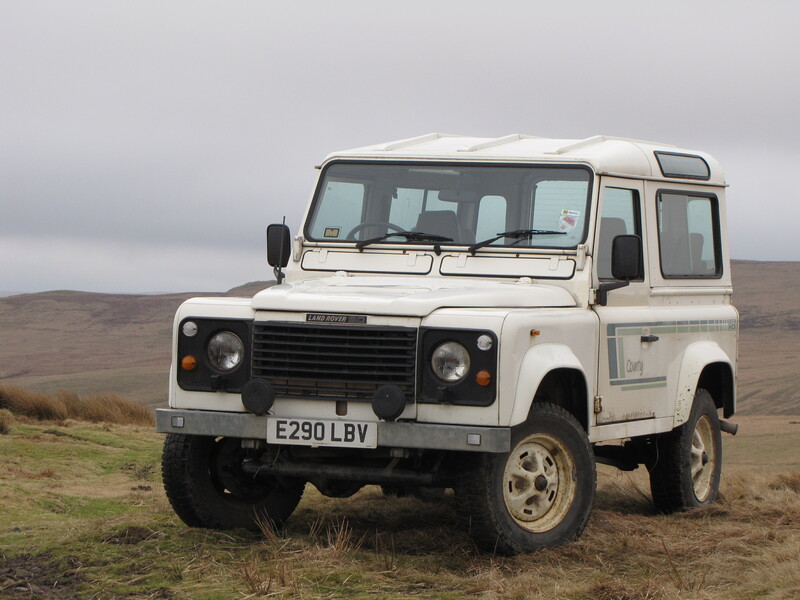 I replaced it with a Land Rover 90 V8 which I bought blind for £1600. That was pretty good too and I sold it for £2300. I was well chuffed as it was actually pretty disappointing to own. Certainly nowhere near as good as a 16-year old me imagined. So, don’t be afraid to buy blind, but do take precautions. If it sounds too good to be true, it probably is. Bravery can be rewarded by a genuine bargain though. It’s all part of the fun!